Toop&Toop Blog: Will Auction outbid Private Treaty? Will Auction outbid Private Treaty? When I was growing up, real estate terminology such as 'going to auction' and 'setting the reserve' were everyday phrases in our household. 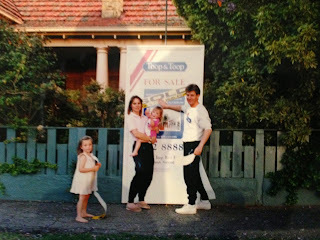 The first experience I remember with the auction process was when we were selling our family home of 13 years. Auction day arrived and I was so excited as crowds gathered on our front lawn, staring at the front door, waiting for the auctioneer to appear. Suzannah and I had prime position near our rose bushes, ready to watch the auction unfold. It was fast and furious and ended with everyone clapping and congratulating us on a fantastic result!!... Well that's how I remember it! Over the last 5 years, I have studied the auction technique; I have been to countless auctions and have seen hundreds of clients go through the auction process. As agents, it is our job to explain the sale process and educate clients on the pros and cons of each method of sale. We make sure before we market our clients home that they feel extremely comfortable and confident with whichever method of sale they decide on. For me, the auction process is something that I whole heartedly believe in, and everything my marketing degree taught me backs this up. Having a concentrated marketing campaign with a set point in time to encourage action and leverage competition is exactly how you get the best results! Especially in a market like we are operating in at the moment because we are finding buyers can be so flippant. The auction process protects vendors from this as much as possible as you are only dealing with the serious buyers, the ones who are in a position to purchase the property free of conditions and with no cooling off period. RP data stats also back this up as they state that not only does an auction help achieve premium results, properties sell on average 19 days faster under the auction process than properties listed for private sale in South Australia. Serious buyers also benefit from this process as they can utilise their financial position on auction day to have an advantage over conditional buyers in the market. South Australians seem to be slowly realising the benefits, and as a result are becoming more confident with the auction process. We are seeing this trend happening right now on the ground and the stats seem to be backing this up too. There are approximately 741 properties going to auction in South Australia right now (this is up on the same time last year) and 97 of these properties are being auctioned this weekend! Last week I sold my house through the auction process and despite believing in this method 110%, it didn't protect me from the emotional roller coaster vendors go on when they auction their home. The anticipation of how many people came through each open; the competing property auctions throughout the campaign; the negative feedback; the worry that no buyers are interested... all building up to auction day, is stressful. To top it off, the goal posts for the sale can seem to change daily. What became clear to me throughout the process was just how important it was to have an agent who communicates with you and who can help take the emotion out of your decision making. In my case, I received an extremely strong offer before auction (something we are seeing a lot of right now in the market). However if my Sales Partner didn't help me work through this and help me look at the situation objectively it may have been a very costly decision. So while I didn't get to experience my auction day, I now fully understand the power of emotions in the process...thinking back to that auction day by the rose bushes with Suzannah, I am positive that looking at the day through mum and dad's eyes the story would be very different! Selling property is personal, you can't help but ride the emotional roller coaster that comes with it, but as agents we see it as our job to help smooth out the ride and make it an enjoyable one!